I particularly like COLLAGEN EXTRA® as it is in liquid form. This helps increase the absorption of the nutrients. It is also beneficial due to its high amounts of Hyaluronic acid. Thanks to its multiple benefits in various branches of medicine, cosmetic and plastic surgery some have went as far as calling it “the key to the fountain of youth”. Hyaluronic acid is primary used to increase mobility of the joints, clear eye vision, combat signs of aging such as wrinkles, relief fibromyalgia and to help wounds heal faster. Our flagship store is located on the lower ground floor of the world renowned Hale Clinic in London. Opened by Prince Charles in 1988, the clinic has become Europe’s leading centre for complementary medicine. Situated in the heart of London, it houses not only some of the UK’s most eminent practitioners, but also Europe’s leading natural medicines dispensary and an extensive library and bookshop on complementary medicine, thus integrating all the services under one roof. Today, The Nutri Centre is an internationally operating centre for complementary medicine, vitamins, minerals, herbal supplements, nutritional food, sports supplements, books and organic beauty products, being selected by customers from over 140 countries around the world, for its cutting-edge quality in nutrition, wide product range and its commitment on world-class customer service and operations. 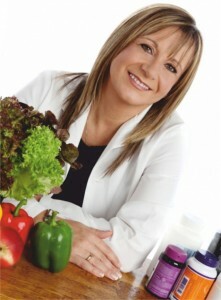 The Nutri Centre operates with 14 stores across the UK.